He sat down for a little while with his face to the river—Cardoner—which was running deep. While he was seated there, the eyes of his understanding began to be opened; though he did not see any vision, he understood and knew many things, both spiritual things and matters of faith and learning, and this was with so great an enlightenment that everything seemed new to him. It was as if he were a new man with a new intellect. We don’t know for sure what happened. Ignatius often said that the vision was a pivotal event but he didn’t say why, leaving it up to others to speculate. It’s been noted that, soon after the vision, Ignatius abandoned severe fasting and harsh penitential practices, and embraced a more balanced spirituality. Juan Polanco, his secretary, said that the Cardoner vision led directly to his decision to write the Spiritual Exercises. Many Ignatian scholars think that the vision is the basis for the Contemplation to Attain the Love of God at the end of the Spiritual Exercises. The Contemplation certainly has mystical overtones; it presents God, who is present in all things, who labors to transform creation, and who bathes all of creation in a ceaseless flow of blessings and gifts, like the sunlight emanating from the sun. The Ignatian tradition regards the Cardoner vision as a turning point in Ignatius’s life and ministry. It’s a reminder that Ignatius was a mystic as well as a learned intellectual, and that much of what he knew came directly from God. 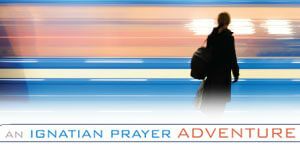 Today’s 31 Days with St. Ignatius link is Praying When in Consolation by Becky Eldredge.